We have online courses to help our members improve their skills and learn all of the arrangements. 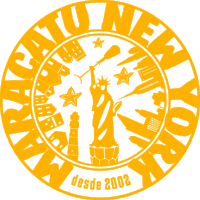 All members of Maracatu NY will receive a 50% off coupon for the subscription to our online learning course. When you subscribe to this Maracatu Course you’ll get instant access to the entire library, complete with PDF’s and transcriptions embedded into each video lesson. This course can be broken down into two categories; there’s instructional lessons that focus on developing good technique and repertoire lessons that focus on arrangements, styles and grooves from many of the traditional maracatu nations as well as material from Scott Kettner's book "Maracatu for Drumset and Percussion". This course includes lessons suitable for absolute beginners as well as some that will challenge even the most experienced player.